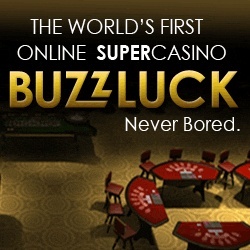 Punto Banco is the American variation of baccarat card game which has come to the USA from Cuba and which is popular and loved in such countries as America, Canada and Australia today. It is very easy and fun, and many gamblers believe that Punto Banco was the original baccarat variation though it is not true of course. Anyway, millions of players prefer exactly this variant today which is named after the two main objects that are possible to bet on in baccarat: Punto = Player and Banco = Bank. So, what is the object of this game, how to play it and does it have any specific character? As well as other baccarat variations, Punto Banco has the following object: to bet on the option (Player or Banker) that you think will be closer to 9 points. There is also the third option you can bet on and it is called to be Tie (when both Player and Banker hands have the same points) but it happens very rare, so all baccarat tips advise not to bet on it. 1. It is played with 6 or 8 decks of cards. 2. It is played at the table which is similar to Chemin de Fer's one: 14 players maximum can take part in a game and 3 dealers lead the game, one of them is croupier who is the main one and two others help him/her to control bets and game itself. 3. This is not a person who is a winner but an option: Player or Banker. 2 cards are dealt faced down to a player and a dealer and everyone makes their bets on whose option will be a winning one. 4. 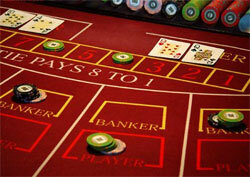 Maximum 3 cards can be dealt to a hand: the rule of the 3rd card works at baccarat sometimes (read baccarat rules). 5. 8 and 9 points of a hand are called to be Natural: if you have them you are a winner for sure. 6. Do not forget about house commission which will be taken in a case of your option's winner. 7. Each casino has its own rules as for minimum and maximum bets allowed at the table but usually they are the following: min bet = $25 and max bet = $10 000 though it often varies. D'you bet on Player? - be ready to pay 1,24% of your winning to a house. D'you bet on Banker? - be ready to pay 5% + 1,06% of your winning. D'you bet on Tie? - be ready to say good-bye to your money: 14,4% of your winning you'll give to a house.